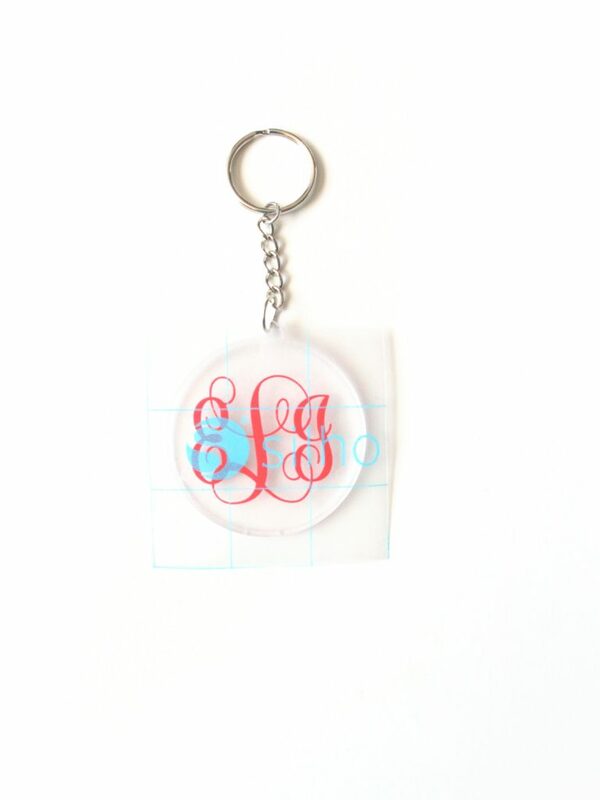 Today I wanted to share my DIY monogrammed key chain I made with vinyl. I used a fun design from the Design Store that formats the letters for you (see directions below). This key chain would be a lovely Mother’s Day gift; just customize with the initials of the ladies you would like to celebrate! 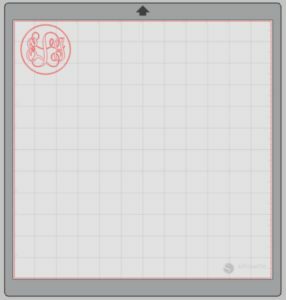 Select the Page Setup panel and adjust your cutting mat size to 12 x 12 (or the size of mat you are using). Download/open your word art (Design ID #81300). Type your initials in this order: First, Last, Middle. This font requires you to do the letters with a keystroke to get all three to appear in the circle: type the letters in lowercase, but hit the shift key for the second initial. This should automatically format the letters in the design. Select the whole design and adjust the size. I found the size of my key chain by laying it on top of the cutting mat. Attach your vinyl to the cutting mat, color side up, and load into your machine. Follow the prompts in the Silhouette Studio® to adjust your blade (if using a ratchet blade) for vinyl and double-check to make sure your design has been selected to cut. Use your fingers or a weeding tool to remove the excess vinyl. Be sure to leave your design on the backing sheet. I messed up and accidentally removed the circle that goes around the monogram; it happens to everyone from time to time. Carefully remove the centers of the letters and graphics. The letters can be delicate, so take your time. Place a piece of transfer tape over your design. 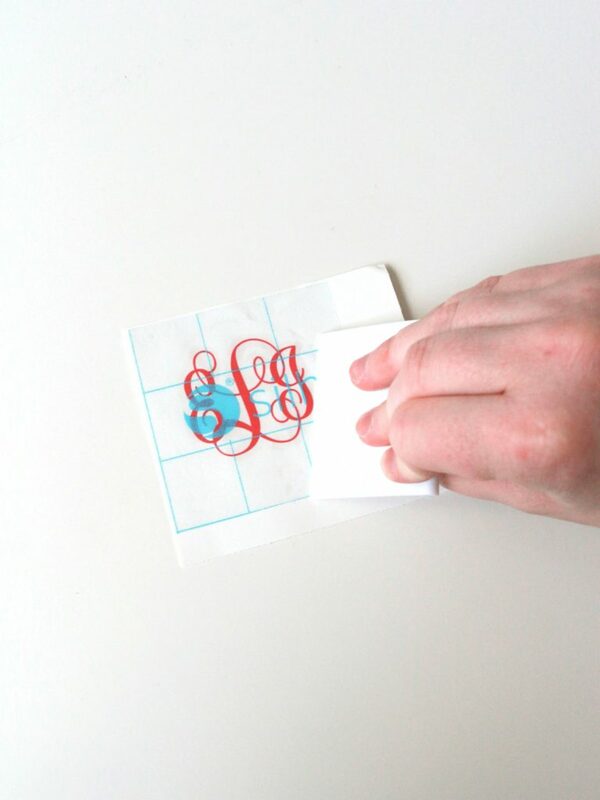 Gently pull transfer tape and make sure the entire monogram lifts with it. Place your design on top of the key chain. Use the scraping tool to smooth the design onto the keychain. 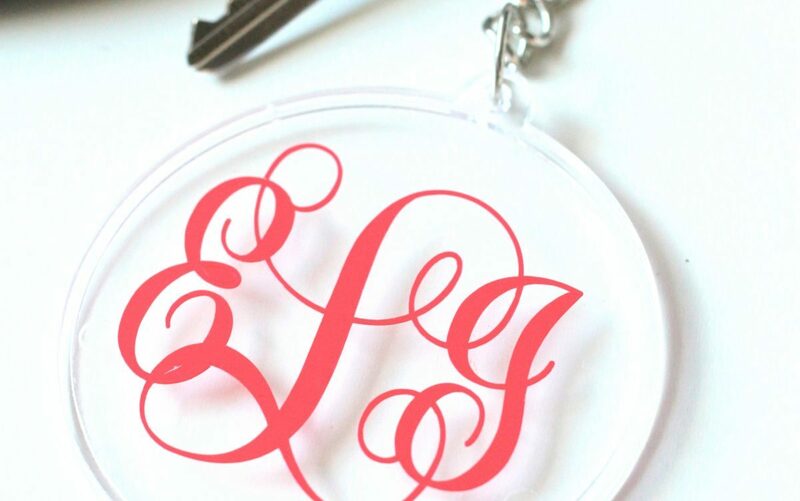 Now you have created a DIY monogrammed key chain. It’s an easy thing to make if you’re looking for a customized gift. Tell me what color of vinyl you will use for your key chain in the comments below. This blog post was originally posted on the Polka Dotted Blue Jay blog. It has been edited and republished with permission from the author. As I prepared my monogram I notice that it looks as if the blade will cut through parts of other letters as it cuts each one. I wonder whether there is a way to prevent this as it was not mentioned in the article. 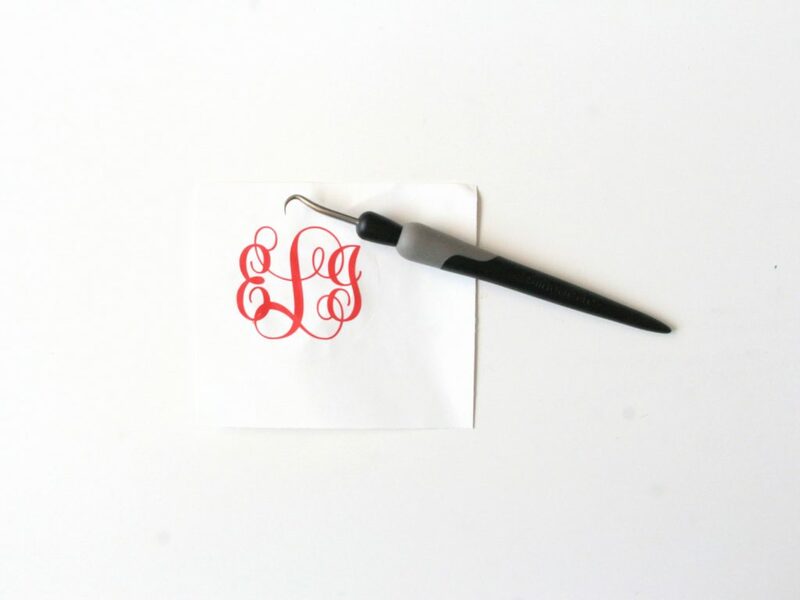 Enlarge your monogram to see if there are any red lines that “cut” through the other letters. If you look at my example above, you can see that the loops from the “L” go behind the “E” – they don’t cut through it. Also, you have your cut preference set to “outline” and that should also eliminate any cut throughs. Any time you are working with text that overlaps, you can either choose “Weld” in the Design Page, or choose “Cut Edge” in the Send Panel. See this video at about 3:20 for a demonstration. 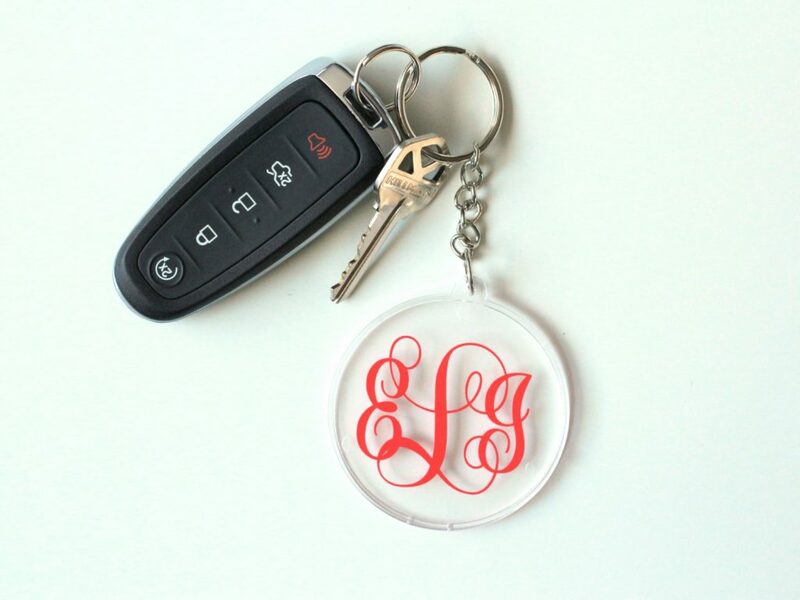 I love the simple, but fancy look of this vinyl monogrammed keychain. I also like how big it is, so that I can find my keys down in the depths of my purse more easily!